This is an update that fixes bugs and adds features. 2. Uses standard iphone notification sound and vibrations. 6. Added feature to not save the password and request it on every login for additional security. 9.Added expanding text view like in messages app. By popular demand. 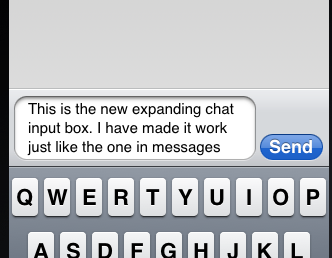 Here is the new expanding chat input box. I have also fixed several bugs related to iOS5. Since these are urgent. I will likely release 2.0.5 with these changes and save Jingle for the big release coming after that. 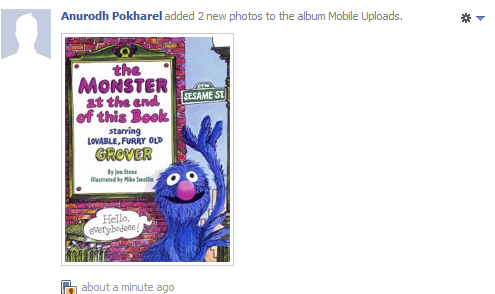 I am actively working on adding Goolge talk Voip calling (XMPP Jingle) support. Progress has been pretty rapid so far. I hope to have it in the next release in September. Things to expect in the September release. 1. Uses standard iphone notification sound and vibrations. Also worked on the ability to not save the password at all and enter it on every login. Making good progress on that. I think I am about 50% done. I have iOS5 and the new development kit. 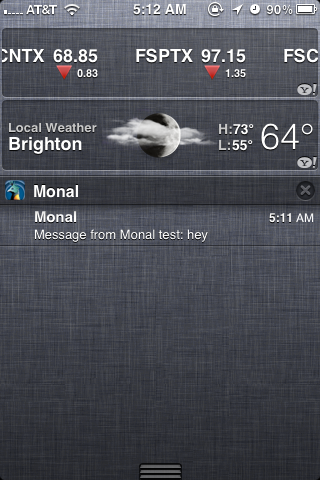 The current version of Monal works fantastic with the fantastic new notification system. I havent tried out the new lock screen yet, but it should work just the same. Q. Why am I not getting sound or vibration alerts? A. Make sure they are enabled in the settings screen. In addition for sound alerts, make sure the silence switch is not turned on. Finally, both sound and vibrate only occur when the screen is locked or the app is running in the background. 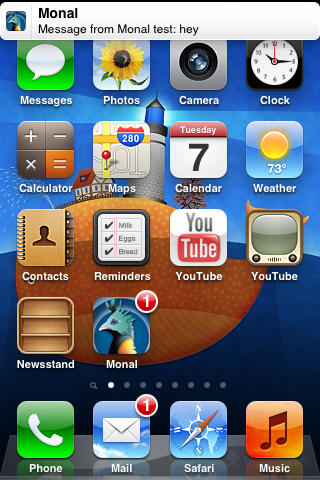 In other cases it is assumed that you are looking at the monal app and dont need the additional notification of a new message. Q. How do I remove contacts? A. Swipe on them on the contacts screen and then tap remove. 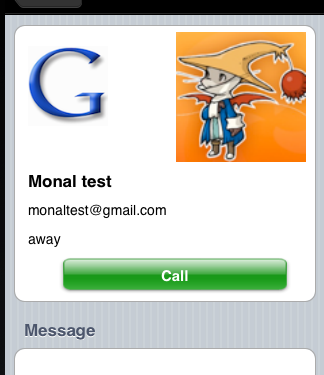 Monal 2.0.4 is now available in the app store.